Concealed Carry: Important Considerations When Choosing What, How, Where and Why??? In my opinion, conceal carry is the best method to carry a personal protection handgun. To me and most folks, it has numerous advantageous over open carrying. Naturally, in a bad situation you wish to capitalize on all the advantages you can in order to survive and concealed carry gives you some advantage. In my role as a firearms sales person at a big box store, firearms instructor and educator, I constantly get approached by folks that are seeking firearms for personal carry. In most cases, the individuals are new to carrying a handgun; in some cases they have some experience with handguns, but not carrying. And finally you have those with lots of carrying experience, but no exposure to training for bad events. In all cases the buyers are purchasing a personal protection handgun for the right reasons, but have a total lack of understanding about carrying in particular, the full dynamics of how to carry and the vital role it plays when you need to access your weapon rapidly. So with that in mind, I wish to cover “five” major factors that you should consider when buying a carry handgun. Keep in mind you cannot pick any one of the 5 factors independently. The value in their roles is the sum total of all the factors combined. 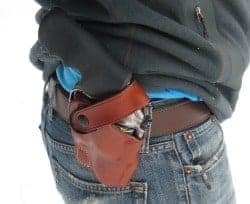 If you chose any of the factors independently or only pick a couple of them, then you are likely to fall short of the full advantages of carrying a concealed handgun. It always amazes me, the number of folks that want to buy a small handgun, just because it is small. In most cases this is the first indication that the individual has very limited handgun shooting experience. So the first step in the process is to educate the individual about the role of ‘grip’. As mentioned in my previous articles “grip’ is one of the most important factors in buying a handgun. So it is important if you are considering a carry handgun, purchase one that you can grip well. Small handguns are exceedingly hard to grip correctly and thus more difficult to shoot, which means less practicing if you do not enjoying shooting it. So as much as one might think small is good, in most cases as it pertains to hand guns, small in not good. It is much better to buy a larger handgun that you can grip well and shoot comfortably than to buy a small one that you hate shooting. This point goes deeper than just practice. It also affects your mentality when a bad event happens. 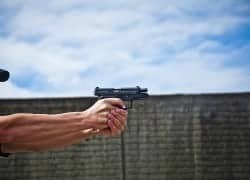 So if you have a handgun that you do not like shooting, you may have a reluctance to pull it out when you need to, due the negative feelings and lack of confidence you have about shooting the gun. Then what you thought was an advantage has now turned into a disadvantage, right when you need all the advantages you can muster. So when choosing a carry handgun instead of first looking for something small, focus on a handgun that you “grip” well, feels comfortable in your hand when shooting. You will be far more confident should you ever need to draw your weapon. Carrying concealed is an art. It is not always easy nor does it work well without planning. Carrying a handgun for personal protection takes planning, preparation and wardrobe consideration. In order to carry effectively you must do some planning. That means you must first determine how you wish to carry and then make subsequent decisions based on that decision. I cover the topic in more detail below, but I feel inside the waist band (IWB) is the best location to conceal a carry handgun. The next part of the planning phase is to find a very snug, well fitting holster that will provide retention for your handgun. This process has two components: (1) the holster and (2) your ability to comfortably wear the holster. Though these two components must be considered together, they also are totally independent. As mentioned above, you want to find a holster that fits the requirements mentioned above. I prefer a kydex one that allows you the ability to change the cant. For those that are not familiar with “cant”, let me explain. The “cant” of a holster is the angle in which the holster sets in relationship to your body. I like mine to cant slightly forward thus allowing me to grasp the handgun easier and it keeps the grip close to my side when bending over. I feel leather or holsters made of malleable material inhibit your ability to reholster your handgun and sometimes can make it harder to draw from. Once you have found a good holster, now comes the hard part for most folks, what to wear when conceal carrying. Get ready because I am going to cover territory here that some might be sensitive. The recommendations below are for both men and women. If you are going to wear a handgun for personal protection, then you must have the mindset that you are going to need to dress differently and take that into consideration every time you get dressed and buy clothes. If you are used to wearing your shirts tucked in, now you will need to buy shirts that are designed to be worn untucked. In most cases to wear inside the waist band you will need to wear your shirt untucked. In colder weather you can wear a tucked in shirt then a sweater or jacket over it to conceal your weapon. Wearing inside the waist band has several more aspects that you need to take into consideration. If you are overweight or like to wear your pants or skirts very tight. Then you are going to have a problem. 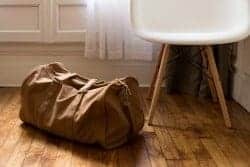 In each of these cases, to address the extra space need by your handgun and holster you will need to buy pants and skirts that are at least one inch larger than you normally wear. Next you need to consider a belt that is firm enough to hold the weight of your handgun and holster. That means even when you dress up, you are going to need a belt that has more rigidity to it. A flimsy belt or a leather one that stretches will make carrying your firearm cumbersome and uncomfortable. Attire is the one consideration that most folks completely forget about. Most folks that wish to carry feel that they can do so with their existing wardrobe. In most cases that is NOT the case. Dena Adams makes some great undergarments for women that enable them to carry a wide range of handguns completely concealed and still wear very feminine clothing. However, in most cases, you will need to revise your attire to comfortably carry your CONCEALED handgun. For me, that meant changing the type of shirts I wore. I traditionally wore all my shirts tucked in. But when I started carrying more inside the waist band I had to start buying shirts that were designed to be worn untucked. I also had to buy belts that were able to hold my holster more secure to my side. So once you begin wearing your concealed carry handgun more frequently you will then learn that you must dress differently. Women have another option most men don’t and that is purse carry. Again, many women look for something small to carry in their purses. My limited experience in trying to find anything in a woman’s purse is that something small is sure to get lost in there. So what can a woman do to enhance the finding their weapon in a time of need. Here is my suggestion. Go to your local hardware store and buy and piece of Velcro that is about 4 inches by 4 inches. Then empty your purse and glue the Velcro to the inside of your purse on one of the lateral sides. Next buy a holster that has Velcro on the outside of it. Stick that to the Velcro in your purse in a position such that when you open your purse, your handgun is perfectly positioned for you to withdraw it. This will greatly enhance the likelihood of finding and drawing your handgun from your purse smoothly, quickly and confidently in the event a bad situation should arise. Remember, drawing from your purse should be practiced often so you can become very comfortable with the technique. This brings us to Accessibility. This is the most important aspect of carrying a handgun for personal protection. If you cannot readily access your firearm when you need it then you are at a major disadvantage. There are lots of sources that provide a wide range of data on shootings, but most confirm that shootings are usually fast, last less than 5 seconds and involve at least 8 shots fired. So if you cannot access your weapon fast and get on target, you are most likely not going to be in a good position. Just a note here…. Just because you draw your weapon does not mean you are going to fire it. In many cases, weapons are drawn, but the need to fire it does not happen. However, the fact that you felt the situation was significant enough for you to draw your weapon, then you must be prepared to use it. One of the most common forms of carry that I get asked about and many buyers consider is “pocket carry”. Pocket Carry to me, is most likely one of the two worst places to carry your “primary” handgun, ankle carry being the other. The reasons for my position on this are based on the following factors. First, you must have a very small handgun to fit in your pocket. So as mentioned above, the small size will make it hard to shoot, fairly inaccurate and there are far less rounds in the magazine than I would like. Secondly, it is going to be extremely or almost impossible to retrieve your handgun from your pocket while you are experiencing a bad event, just getting the handgun out of your pocket without any extraneous factors can be problematic itself. But add to it you may be running, knelling, squatting or laying down in response to the bad event that is in progress. That even makes it more unlikely you will be able to get your weapon out of your pocket in a timely manner. So my recommendation is that you never want your “primary” personal protection handgun in your pocket or on your ankle. 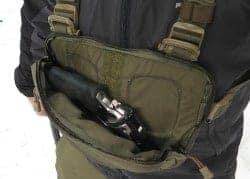 In my experience the best way to carry a handgun is inside the waist band. I carry my two “go to” weapons (Sig P320 compact or Sig M11-A1) inside the waistband at 4:30 at about a 12 degree cant forward. Again, for those that might not understand this terminology, the 4:30 location is just past your hip. I feel the 4:30 location allows you to readily access your weapon while in almost any position and even while running and the 12 degree cant keeps the grip of the weapon close to you body even when bending over, thus not exposing the fact you are wearing a handgun. Many well respected firearms experts like the appendix position and I think there is nothing wrong with that location as well. But for me and my size, the 4:30 position is more comfortable. Now I will say that there are times when I was working private security and or based on my attire I would wear in the middle of back. There are several factors you must take into consideration when wearing in that location. First, your holster must be reversed. So if you are right handed, you will need a left handed holster to correctly position the handgun in the middle of your back. Secondly, you must consider it is going to be much harder to access your weapon and that it takes extra practice to be proficient at drawing your weapon from this position. And finally, when you are sitting down it can be very uncomfortable and in some cases your handgun can get caught on seats, if the back rest has opening in it. So there several limitations you must consider when wearing in the position. In an article posted by Greg Ellifritz titled “STAND, MOVE, OR SEEK COVER…WHAT WORKS IN A GUNFIGHT? 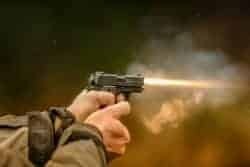 They found if you stood still during a shoot out there was an 85% chance you would get shot, if you moved it dropped to 47% and if you found cover it dropped to 26%. So as we all know, there is tremendous value in moving when the shooting begins. With that said, it is important and vital that you can access your weapon while you are moving and seeking cover. So it needs to be in a location that you can readily access in those situations. Thus, I highly recommend that your personal protection handgun should be worn on your waist, where it is readily accessible no matter how compromised your position. The last thing you want in a bad situation where you need to draw your weapon is to wonder whether it is going to function or not. Nothing can be scarier than not having confidence in your weapon. To prevent this from happening your must do a few things. First, spend your time researching the firearm you think you might like to purchase, secondly, get lot of advice from seasoned experts and finally shoot the firearm before you buy it. Remember, the Manufacturer should be your first consideration, followed by Grip, Trigger Control, mag capacity are your main aspects of choosing your handgun. 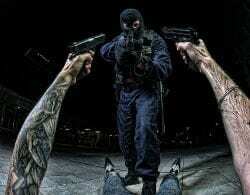 You can read my article on this site on “How to Choose the Best Personal Protection Handgun”. My top 4 personal protection handguns you may wish to explore are the Sig P320 compact, Sig M11-A1, Ruger SR9C, Glock 19 Gen 4. I firmly believe the Sig P320 is the best personal protection handgun on the market. Secondly, get good training from a well qualified instructor. There are lots of firearms instructors out there, but there are very few good ones… Find a good one…. Then practice practice practice. Be exceedingly comfortable handling and shooting your firearm. Semi-automatic pistols can experience malfunctions due to not holding the gun’s frame firmly enough when shooting, which can allow the frame to move back at the same time the slide moves back. This is called “limp wristing” and it can happen to even strong men who have the wrong grip or arm position as they fire the gun. It is one of the last things you want to happen, so having a good grip is essential to functionality. The discussion is always about what round is the best for personal protection based on the effectiveness of the bullet. I strongly endorse the 9mm round. Here are my reasons for that caliber, not necessarily in the order of importance, but as a sum total of all the factors. It is the cheapest of all ammo so you are more likely to practice more. Most 9mm handguns have larger capacity magazines than other calibers, so you have more rounds if you need them. There are more handguns made in 9mm than any other caliber, so you are more likely to find one that fits your grip. The lethality of a 9mm is the same as a .40 or .45 when a vital area is hit. It is easy to manage the recoil and shoot thus you are more likely to hit your target. The various sizes of 9mm make it an easy caliber to carry. The second component of effectiveness is to get good training. To know the correct method for drawing from a holster, have an experienced instructor teach to the skills of safely drawing, presenting of your firearm, quick target acquisition and trigger control. In addition, you must learn the correct and safe means to reholster your handgun. There are numerous videos on Youtube that demonstrate great techniques for drawing from your holster. However, there is no better way to learn the skill than from a qualified instructor. The most important aspect of effectiveness is practice. If you do not practice drawing from concealment, drawing from your purse, quickly acquiring your target and placing rounds accurately, then you are setting yourself up for failure if a bad situation should occur and you need to use your handgun. Practice creates confidence, helps you overcome fear, and builds muscle and mental memory; all important factors when dealing with a crisis situation. So, in summary, concealed carry is not as easy as most folks assume it is. It requires you to take several aspects into consideration prior to putting conceal carry into action. Naturally, you hope you never had to access your handgun in response to bad situation. However, if you do, you want to be able to do safely, quickly and confidently.